Dr. Farukhi specializes in bariatric surgery, and will also perform general surgery. Dr. Farukhi said he hopes to continue to grow the bariatric program at Norman Regional and establish himself as a reliable surgeon in the community. 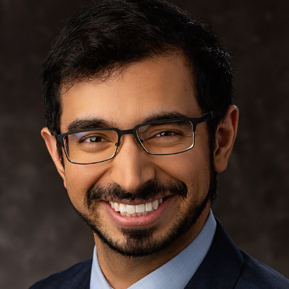 As a bariatric surgeon, Dr. Farukhi wants his patients to know that obesity isn’t a choice, and the number on the scale is just a measurement of their weight and not a measurement of who they are as a person. Aside from medicine, Dr. Farukhi enjoys the outdoors, skiing, and drawing/animating. His newest hobby is making new stories for his son, which he said he hopes to publish into a series of children books. Dr. Farukhi’s office is located at 3400 W. Tecumseh Rd., Suite 105. Call 405-515-2049 to schedule an appointment or visit www.JourneyClinic.com to learn more about what the clinic has to offer.